Publicis Groupe is acquiring digital company Sapient in a $3.7 billion all-cash deal, commanding a premium that surprises observers. It's been an open secret in the industry that Sapient has sought a buyer in recent years. But lacking competitive holding company offers, $3.7 billion is a high price to pay for the Boston-based back-end digital technology shop. Brian Wieser, senior research analyst at Pivotal Research Group, noted that the price values Sapient at a higher multiple than the French holding company. "Despite absence of talks between Sapient and other holding companies, this represents a 44 percent premium to Sapient’s most recent closing price, around a 12 times EV/EBITDA multiple on 2015 consensus figures (depending on Sapient’s cash balance) assuming synergies are realized,” Wieser wrote in a research report. “This is well above Publicis’ current trading multiple, which is closer to 8 times." The analyst also said the acquisition added "little to Publicis strategically," and noted that while the holding company has the ability to finance this deal, the transaction "would make it harder for Publicis to pursue something that might actually be 'transformative' in the future. Implicitly, Sapient would make a Publicis acquisition of Interpublic much more unlikely than it already appears presently." A deal with Interpublic Group "would have provided Publicis with digital marketing agencies R/GA and Huge, as well as other businesses which would provide much more in the way of revenue and cost synergies," Wieser wrote. Founded in 1990 as an IT company, Sapient has evolved through a series of acquisitions to become a global player in digital marketing and consulting. Its purchase of New York's Nitro Group in 2009 led to the formation of SapientNitro, a digital agency whose tenure has occasionally been rocky but whose clients include Coca-Cola, Audi and Activision. The company's other two operating divisions are Sapient Global Markets and Sapient Government Services. Publicis is offering Sapient shareholders $25 a share for a stock that closed Friday at $16.85. During the last 52 weeks, the stock has traded within the range of $12.85 to $17.95. Publicis, which saw its global growth ambitions set back after the collapse of its proposed merger with Omnicom in May, said the acquisition "accelerates achieving Publicis Groupe’s objective to become the leader at the convergence of communications, marketing, commerce and technology." 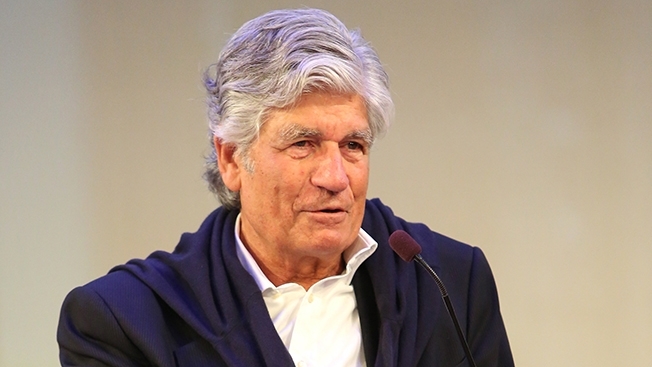 The new entity, to be called Publicis.Sapient, will help propel the French company’s percentage of digital revenue to 50 percent, three years ahead of plan, Publicis said. The holding company, which has posted anemic growth this year said Sapient registered 15 percent compound annual revenue growth from 2010 to 2013 and "immediately boosts Publicis Groupe’s growth profile." In a conference call, Maurice Lévy said the acquisition was driven both by the need to broaden services to clients and adding new revenue streams. He went on to address public comments from WPP Group chief Martin Sorrell, who described Publicis' post-Omnicom move, as the "behavior of a jilted lover." An angry Lévy retorted that Sorrell doesn't know anything about love, but knows about hatred as his area of "expertise." For his part, Sorrell responded, "Christmas came early for Sapient shareowners. Sapient caught Maurice on the rebound. It's a complete reversal of their POG (Publicis Omnicom Group) strategy. There they were merging equally with a stronger creative company with weaker digital assets." Under its new name of Publicis.Sapient, the company will continue to be led by Alan Herrick, who has been Sapient’s CEO since October 2006, and who now joins senior management at Publicis Groupe.